Sitting beside me as I work on this grey dreary Chicago day, is a vase of beautiful tulips. 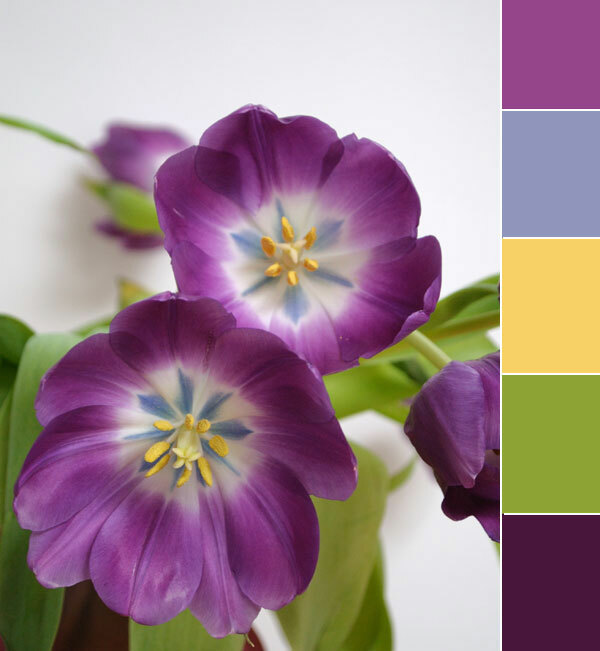 Nature does a wonderful job of creating color palettes and my eyes keep drifting from the website I am designing to these beautiful blooms. I had to photograph them to capture the fabulous colors. Anything interesting on your desk today?